This execution is about a year old, but it’s so genius that I felt the need to share it anyway. 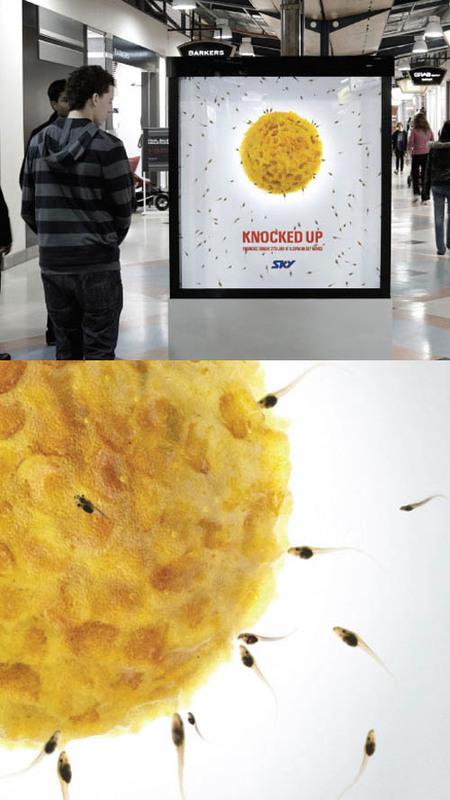 To promote the airing of Knocked Up on New Zealand’s Sky TV, their agency put a model of a human egg filled with fish food inside a mall poster stand converted into an aquarium and set a bunch of live tadpoles lose. 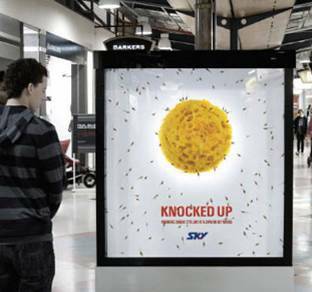 The result is yet another Kiwi execution for an American film or TV show that far exceeds the quality of what was included in the original US campaign. This entry was posted on Friday, December 18th, 2009 at 3:06 pm	and is filed under Movie News, Outdoor News. You can follow any comments to this post through the RSS 2.0 feed. You can leave a response, or trackback from your own site.